While it has been quite some time since my last post, it isn’t because we haven’t been busy. 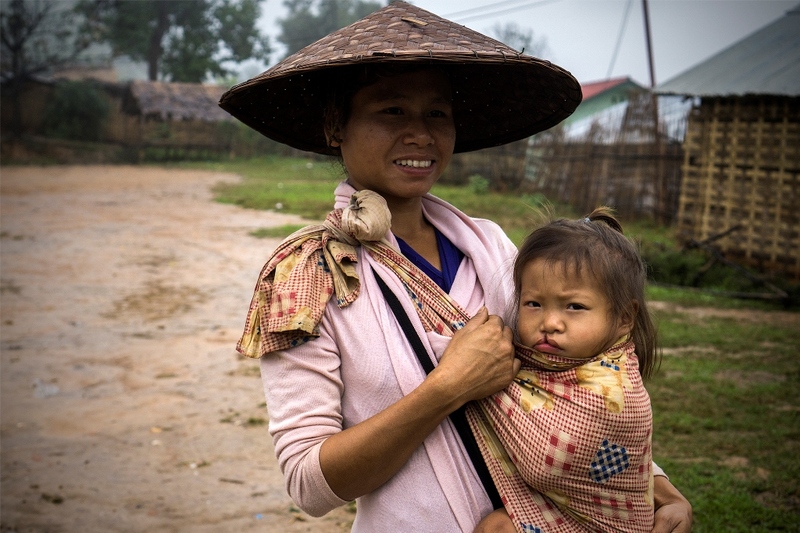 Our fundraising season begins on the day I return from Laos (last April) and ends when I step onto the plane to go back. This time it will be for four months, with triple the number of projects, more water filters than ever before, our usual sponsorship of primary, secondary and university students, and some smaller projects. 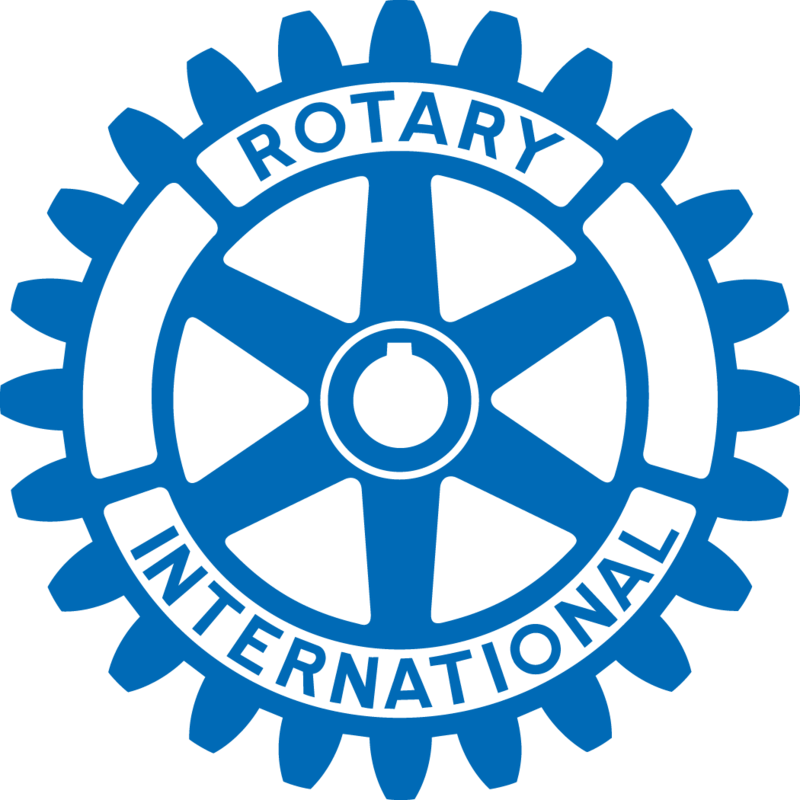 At this point we have four groups coming this year, a Rotary Group from my home club, Whitby Sunrise, another Rotary Group from Ladner, Delta and Coquitlam, BC, plus a group from Malaysia and another from Singapore. We are getting pretty close to our targets and there is still room on the truck for more water filters, so if anyone is interested in donating as a Christmas gift, just send me an email and I will make sure that you have a picture of the receiving family with your filter and label (so you can zoom in on the label to see the message or name that you chose). Right now we have 614 water filters donated ($115 CDN each), leaving 37 to raise funds for so that we can distribute to 7 villages this year. Please confirm that it is for Christmas though, if you need it for that. Otherwise they may not get distributed until January or February. 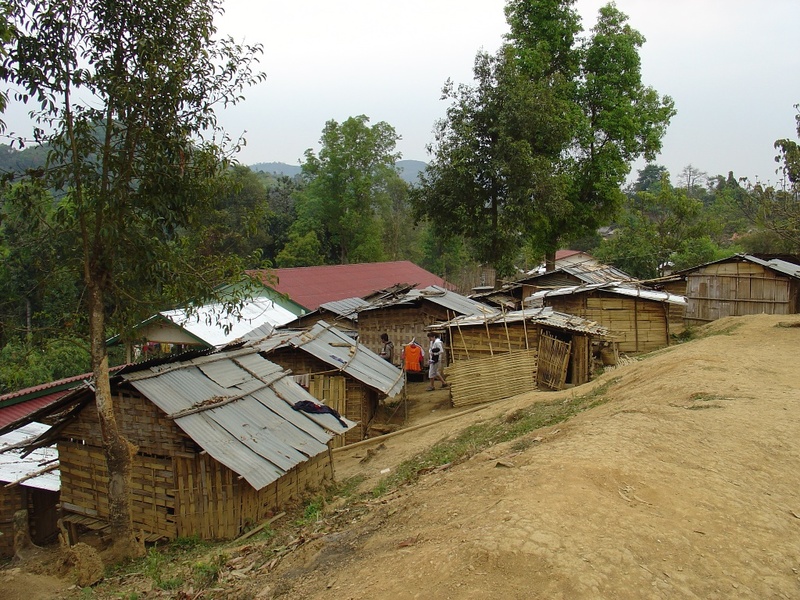 So, for this year we hope to do a project in the rural mountainous village of Phoukoud. This is fairly close to last year’s project, but further down the mountain. We don’t have to build a dam, as we will run a pipe from the large water tank we built last year in Thong Thuen and run it through two pressure-release substations (so the pipes don’t explode) to Phoukhoud. Here is a picture of the tank in Thong Thuen. Phoukoud Village. There are two parts to this village but soon, both will have water running from the tank in the picture above (about 6.5km). 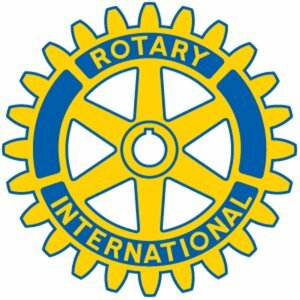 This project is sponsored by many Rotary Clubs. 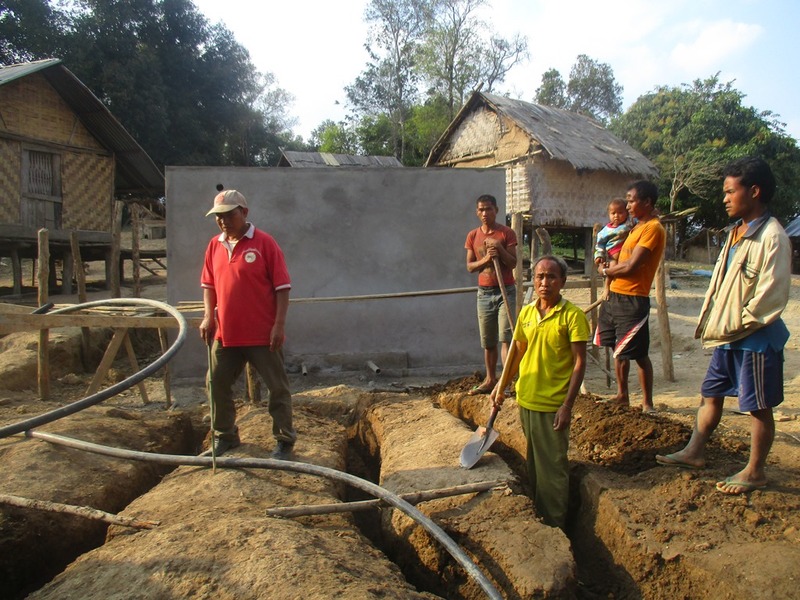 Our second water project will be in the village of Xeingda. Last year we distributed 60 desks, courtesy of Global Change For Children and distributed school supplies to the students. 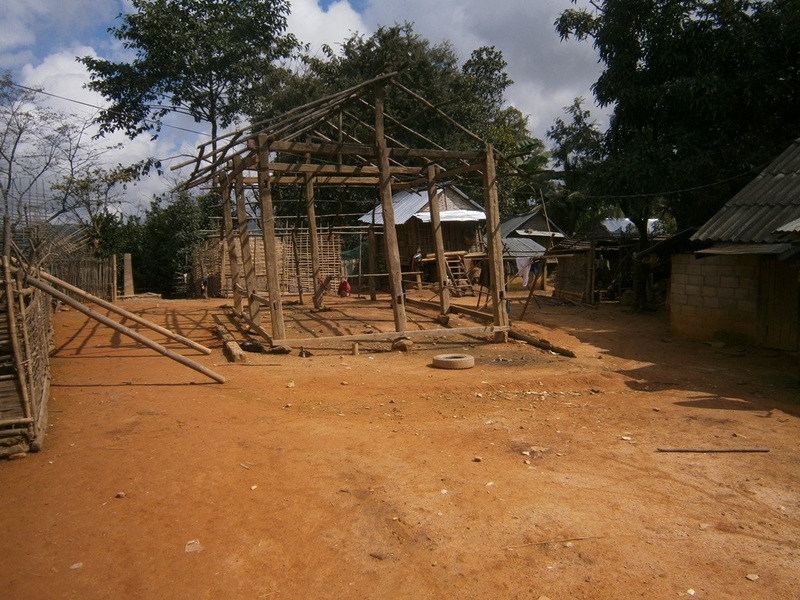 The poorer half of this village (mostly Khmu) has no water and need to trek about 1 1/2km to get it. This will be sponsored mostly by our West Coast Rotary Clubs with a little extra support from Rotary Clubs in Southern Ontario and a few private donors. Villager in Ban Xiengda. The daughter will be taken to a hospital for an operation when she gets old enough (I believe it is around 4 or 5 years old). Another NGO will sponsor this. At this point it looks like 20 Rotary Clubs in Canada and The Interact Club of Clarington, will be sponsoring one or both of these major projects. We look forward to getting the kids to school, rather than trekking for water each morning and evening. Each family will also get a water filter (good for about 12 years for a family of up to 8). The water filters are sponsored by many kind hearted individuals…so no more diarrhea! As another major project (now under construction) is a Cultural Centre in the Village of Phone. The road has deteriorated over the monsoon season but they are still able to get materials up in the highlands….it is slow going though. The main purpose for the centre is for the elders to teach the younger people from neighbouring villages to learn basket- weaving. 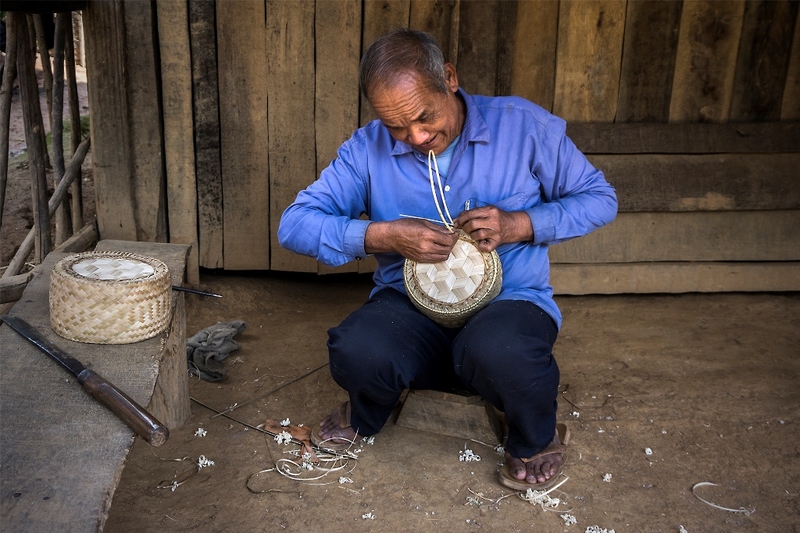 There are about 40 different products that are made and the elders worry that their culture will disappear if they don’t carry the tradition. This centre is being sponsored by a generous private donor, a Malay group of volunteers and a number of individuals from a Toronto Bridge Club. The site of the new cultural centre. This ‘shell’ has been torn down. The centre will be open to the public for sale of weaved products and will be complete with toilets and running water. As you can see, they need a centre to teach others. This hut is very small and there is not enough room or light. Another issue is that if the students learn at someone’s home, they are expected to be fed. 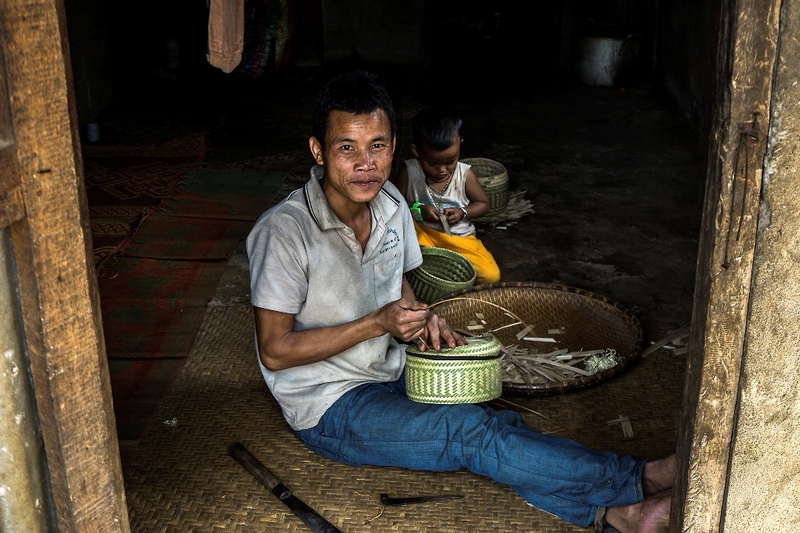 A Master at work, making a rice container. Rather stylish don’t you think? We are also working on the possibility of doing two more water projects this season with the support of a Singapore group, so there may be another announcement coming. Meanwhile, it is back to the final days of fundraising.